People have been especially quick to praise the A Brief History of Time author for his staunch support of the NHS. Professor Hawking developed motor neurone disease as a student in 1962, and once wrote he ‘would not be here today (were) it not for this service’. Nurse Kenny Gibson who regularly tweets using the hashtags #earlyrisersclub and #nightshiftcarers, which are popular with healthcare professionals, paid his tribute to Professor Hawking. Writing in the Guardian last year Professor Hawking said: ‘The NHS is in a crisis, and one that has been created by political decisions. ‘These political decisions include underfunding and cuts, privatising services, the public sector pay cap, the new contract imposed on junior doctors, and removal of the student nurses’ bursary. His passionate support saw him most recently join with fellow academics and doctors to win the right to challenge what they saw as the privatisation of the NHS. A hearing is due at the High Court in the coming days as the remaining challengers seek judicial review into health and social care secretary Jeremy Hunt’s introduction of Accountable Care Organisations (ACOs). Mr Hunt, his department, and NHS England have all denied accusations ACOs will ‘Americanise’ the NHS and insist they are simply about making care more joined up between health and social care organisations. 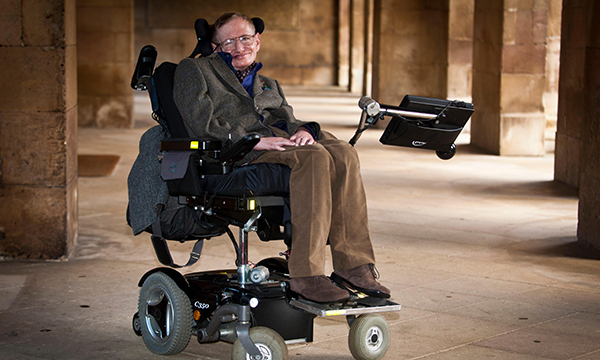 Paying tribute to Professor Hawkings today on Twitter Mr Hunt wrote: ‘Stephen Hawking was a defining force in the world of science whose loss will be felt in every corner of the globe. Nurse Joey Giles responded to Mr Hunt. Away from politics nurses have been using Twitter simply to pay tribute to Professor Hawking. Jo, a recovery nurse from Manchester, thanked Professor Hawking for his record of praising the NHS. Hi Kenny & #earlyrisersclub friends.Thank you for posting about Stephen Hawking. Very sorry to hear he has died.What an amazing contribution he has made for humanity. Apart from his awesome mind for physics & quest to understand the Universe, I also admire him for defending NHS. What will the future hold for mental health nursing?